The automatic filter cleaning in our all-purpose vacuum cleaner lets you work without interruption and with its automatic switch-on feature it makes the perfect partner for our power tools. As certificated safety vacuum cleaners, our machines are approved for L, M and H class hazardous dusts, and are naturally also perfectly suited for general cleaning around construction sites. 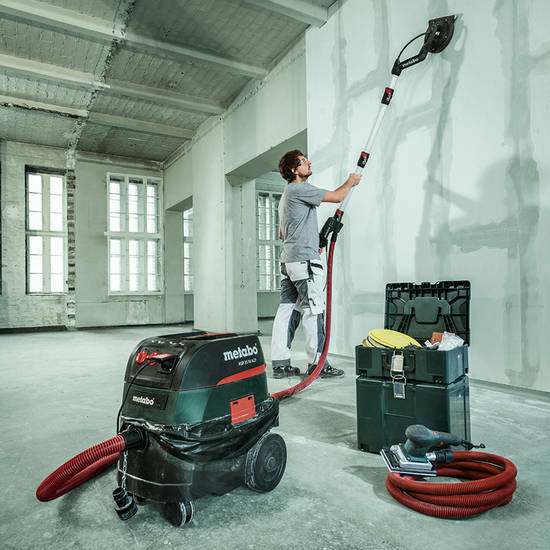 A coordinated Metabo system consisting of power tools and a suction device guarantees higher efficiency and reliability. 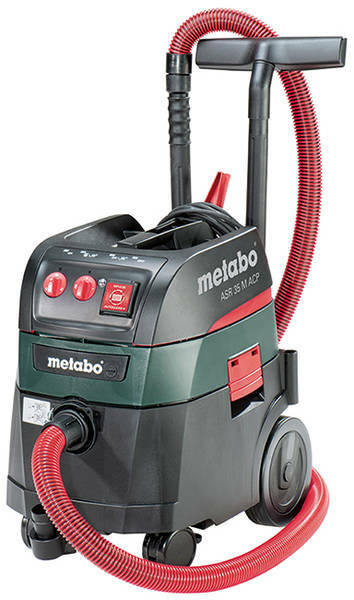 Dust extraction protects the lungs and reduces the risk of respiratory diseases. Reduced cleaning expense with less dust on the construction site and satisfied customers frequently lead to a rise in recommendation rates. Practical storage areas for both accessories and tools. Power socket for power tools with automatic start/shutdown of the vacuum. Stable and easy to move thanks to the castors with locking brakes and large wheels. Automatic “AutoCleanPlus” filter cleaning for permanently high suction performance.